Serving the San Francisco Bay Area, Bishop Ranch Veterinary Center & Urgent Care takes pride in providing premium pet health care services. BRVC has made the commitment to treat all pets’ as family and provide quality, innovative, effective and timely treatment to our clients. BRVC Veterinarians and professional staff are trained in treating your pet with the utmost care, respect and attention. 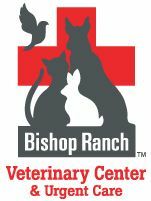 The experienced and compassionate Veterinarians and professional staff at Bishop Ranch Veterinary Center & Urgent Care work with you to provide the highest quality veterinary care for your pet. We're open when most veterinary offices are closed - providing life-saving services 7 days a week!